A Family Forged by Adversity. A Community United by Dreams. Addie loved to run along the river’s edge so the wind could blow through her long hair, released from the strict bun her father demanded. When Jed returned from the lumber harvest in the spring, she would fly into his arms, releasing her pent-up passion from its winter prison. Little did they know their forbidden love would set in motion a series of events that would forever change their lives and make Jed a fugitive. With a bounty on his head and his infant son hidden beneath his coat, Jed turned to the only man he felt he could trust—the leader of a nearby Micmac settlement. The unlikely partnership that ensued defied all odds, overcoming bigotry, betrayal, and the unforgiving 1820s Maine wilderness, to stake a claim on the primitive New England landscape. 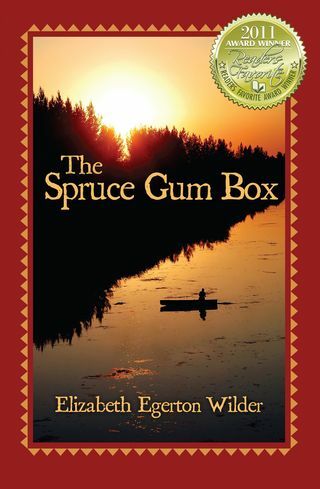 As the strife escalated between Great Britain and the United States over the border of Maine and the rights to its lucrative lumber industry, determination to survive and create a life for his young son drove Jed into uncharted territory and perilous adventure. I felt as though I got to know & admire these folks personally. There were a few that I disliked as well. It was fascinating to learn about the Micmac tribe and their loving ways. The vivid descriptions of the river, forest and village made me feel as though I were there, enjoying nature. I could almost smell the aroma of Maple cooking into sugar. I feared for their safety among the dangers of the logging business and the rough characters with hatred in their hearts. There was infinite love & heart crushing loss. I cried with sadness and I cried with joy. I worried for my “friends”, as they struggled through their obstacles, but in the end it was a triumph! Buy the Maine At Heart Trilogy of books for Only $39! Who Teaches Us How To Grow Old? NOMOPHOBIA – The fear of being cellular unconnected.